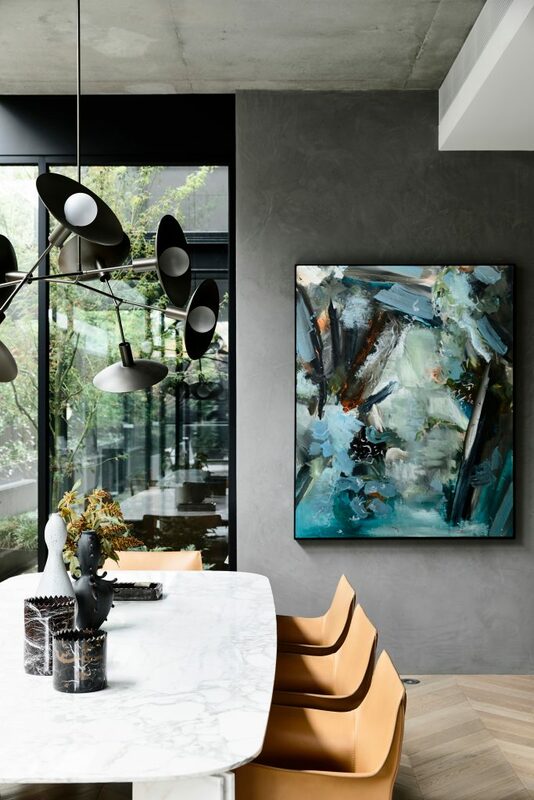 Have you ever wished you could see inside the homes of the leading style-setters? 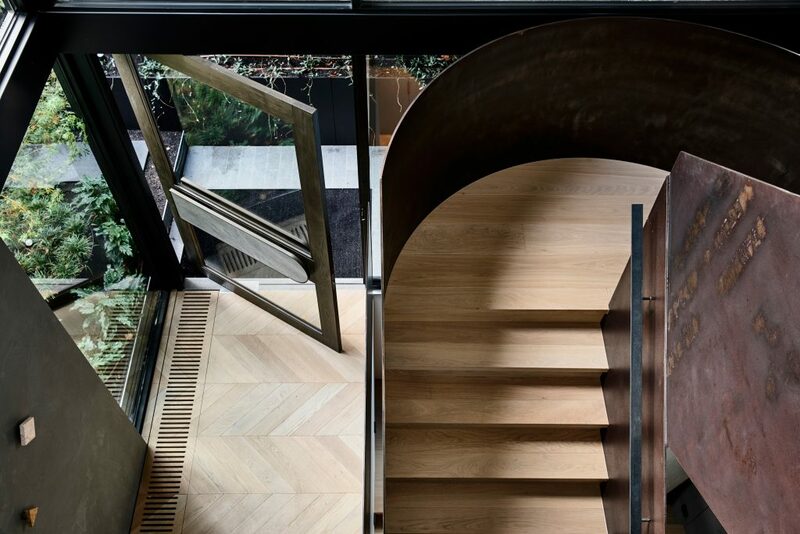 Wouldn’t it be fascinating to see the design decisions that they make and the risks they take? 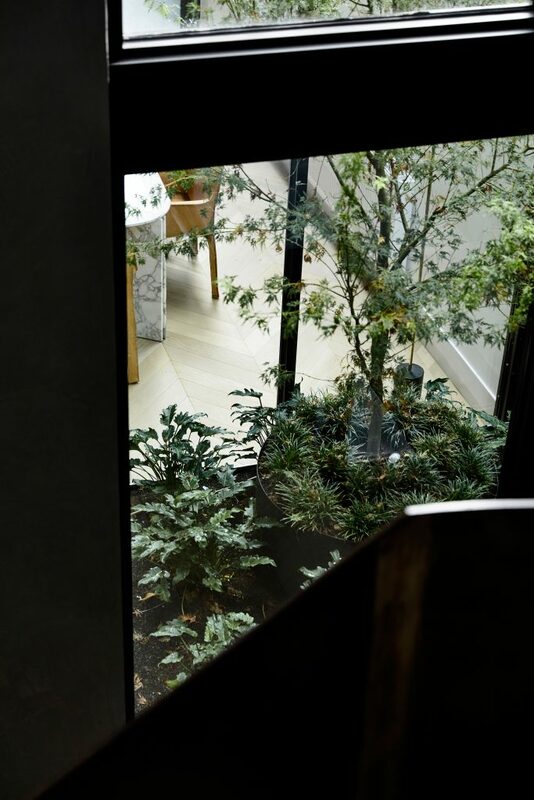 Well wish no longer because today I am taking you inside the masterpiece that is home to Bear Agushi – a builder and developer and the Director of AGUSHI Construction. 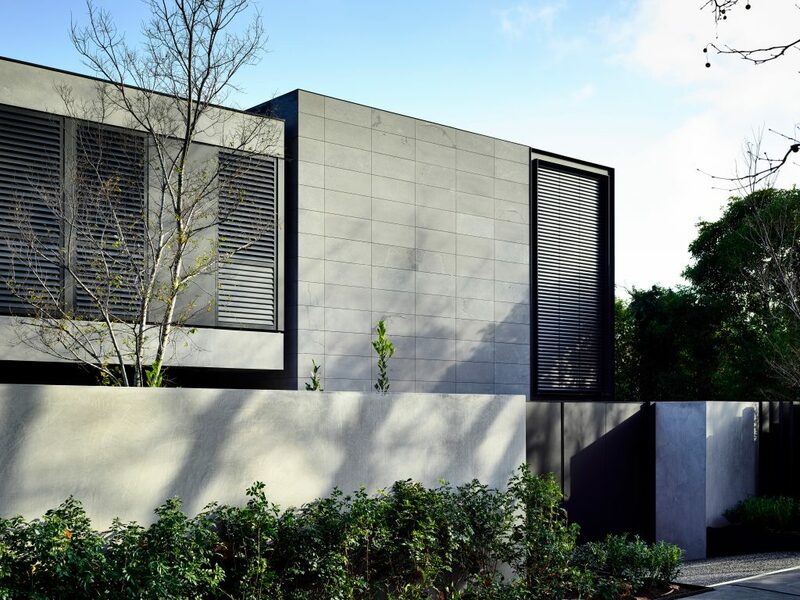 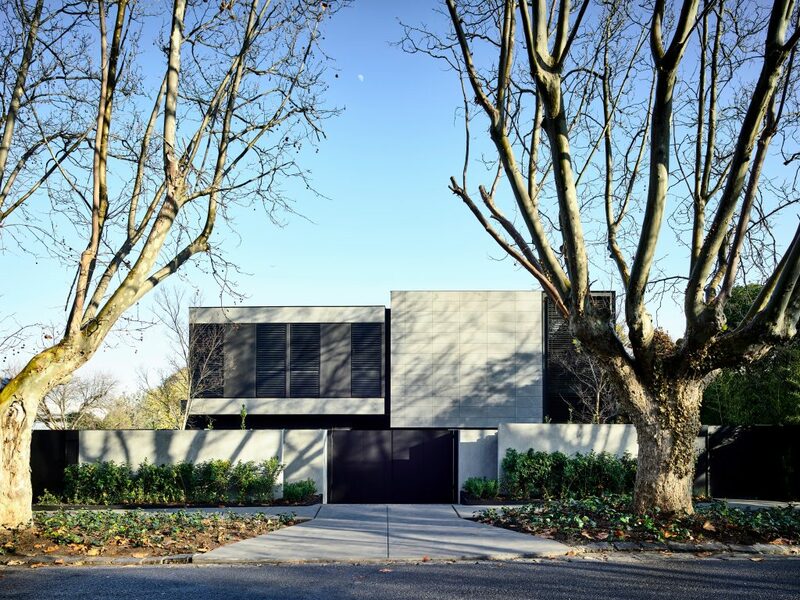 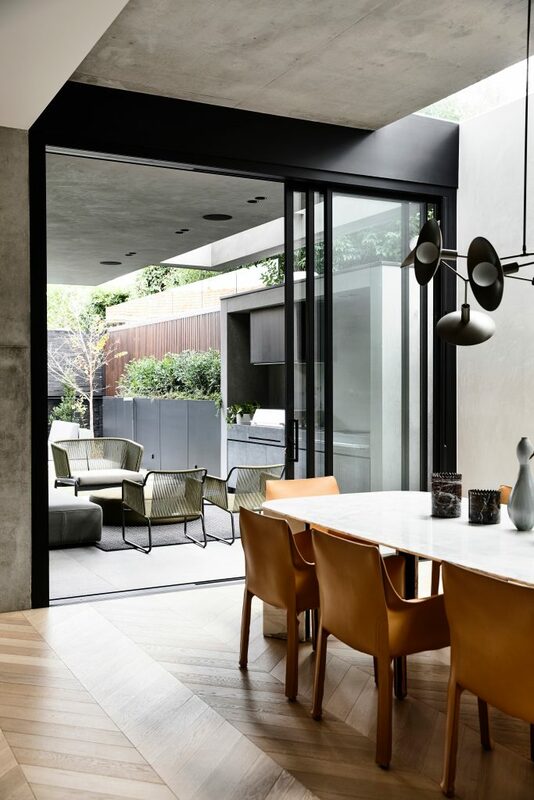 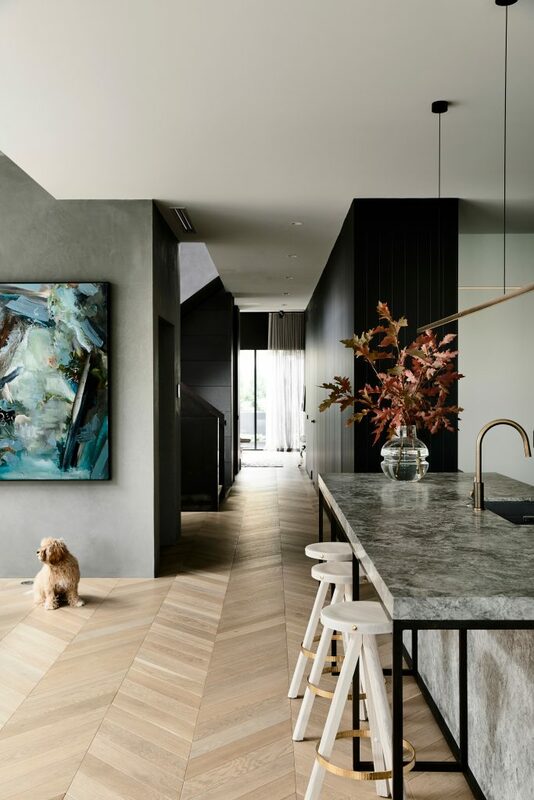 A triumph in scale, form, space and materials, ‘Huntingtower’ is a luxury three-storey, four-bedroom bespoke mansion strikingly positioned in Melbourne’s leafy suburb of Armadale. 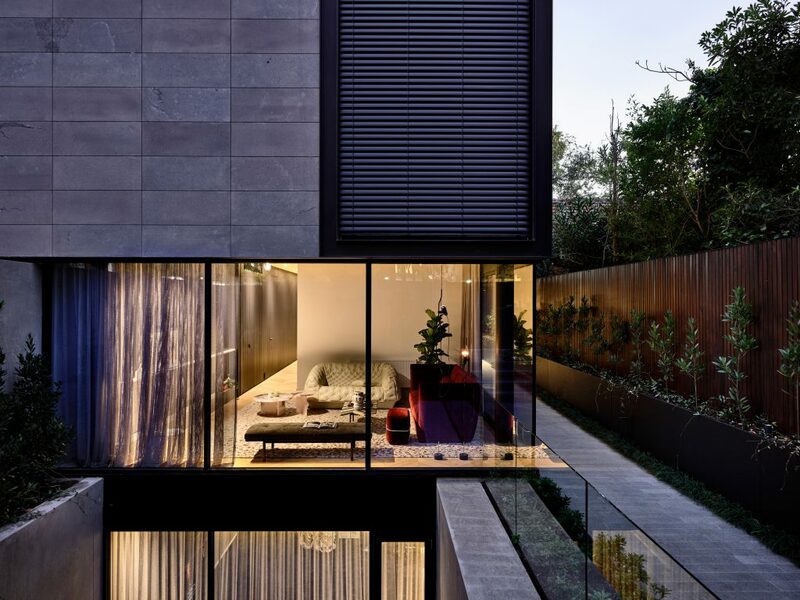 This home defies space and time with glass rooms, a sculptural folded plate, steel staircase and sunken gardens. 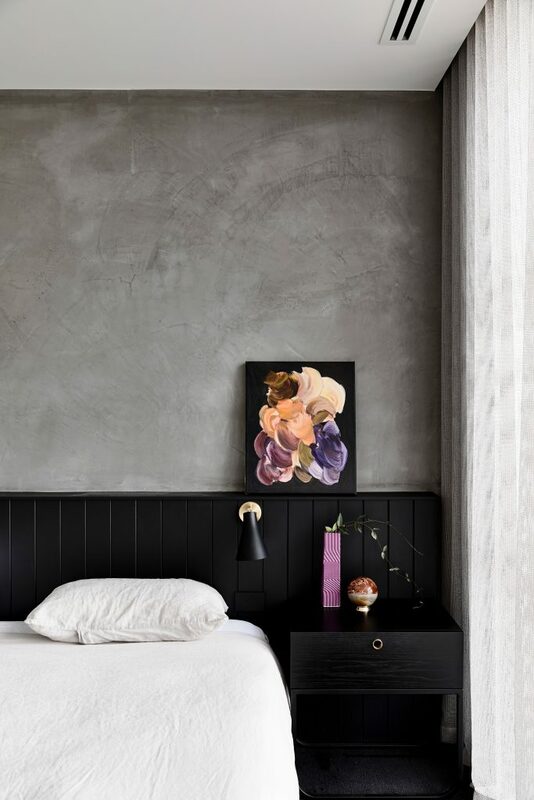 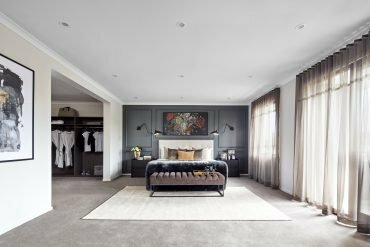 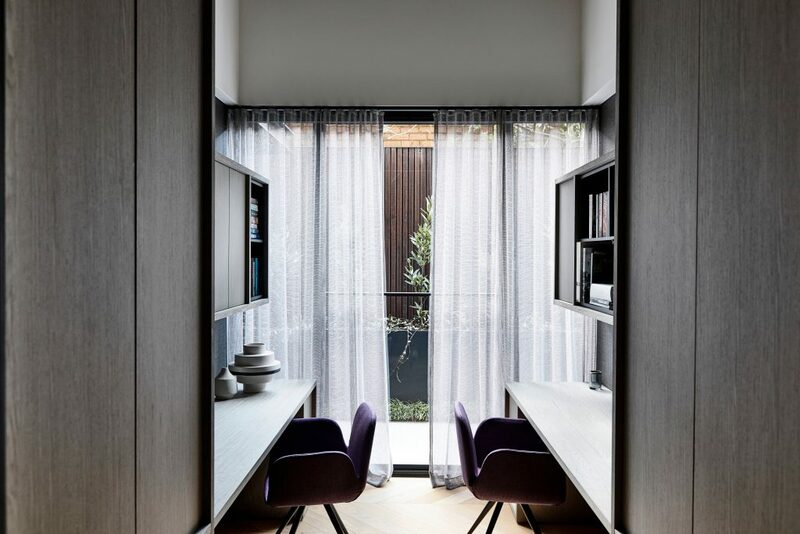 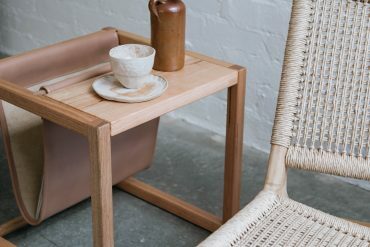 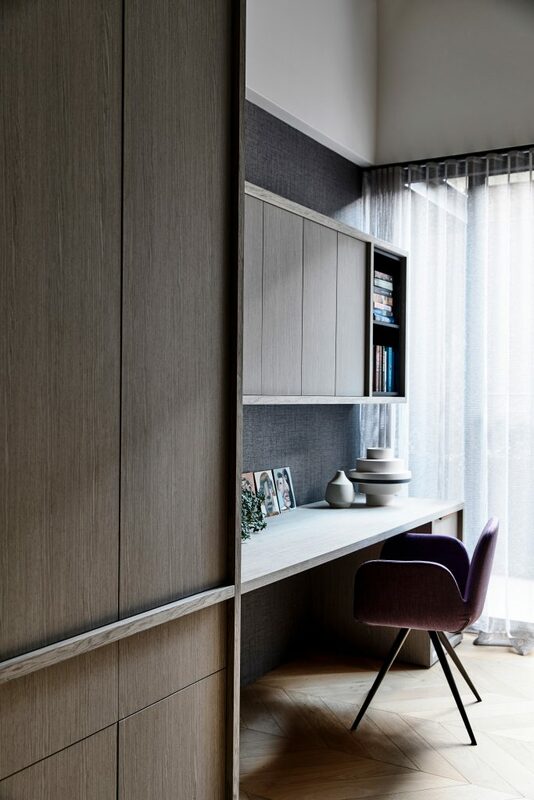 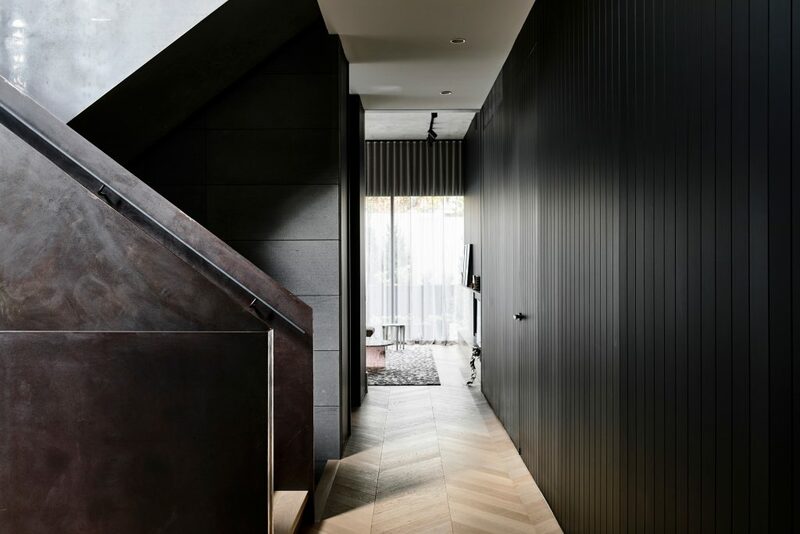 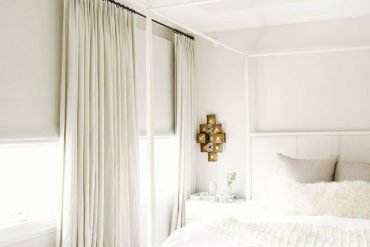 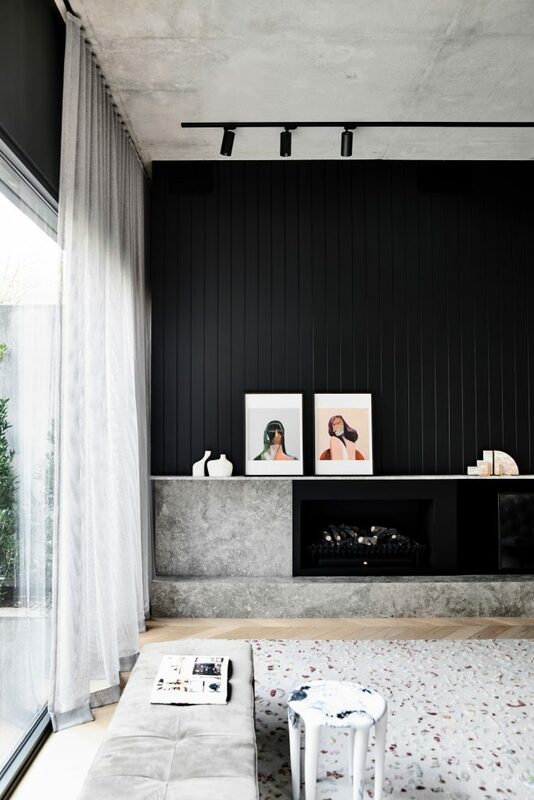 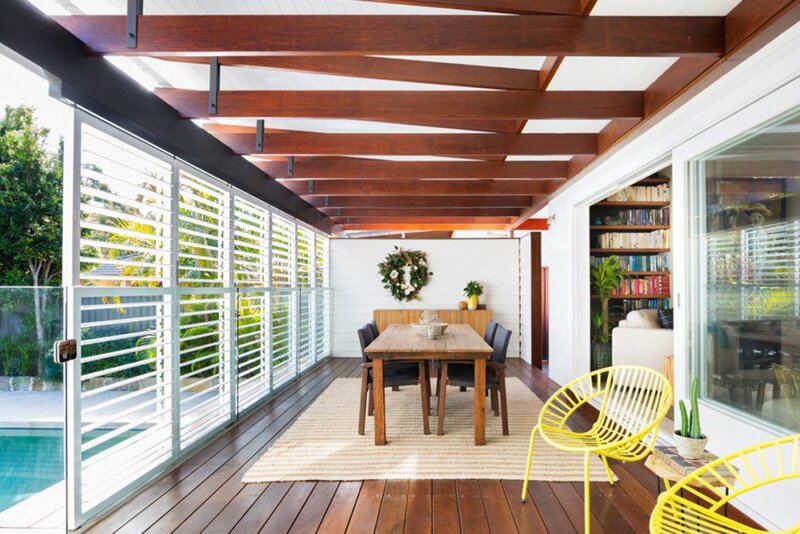 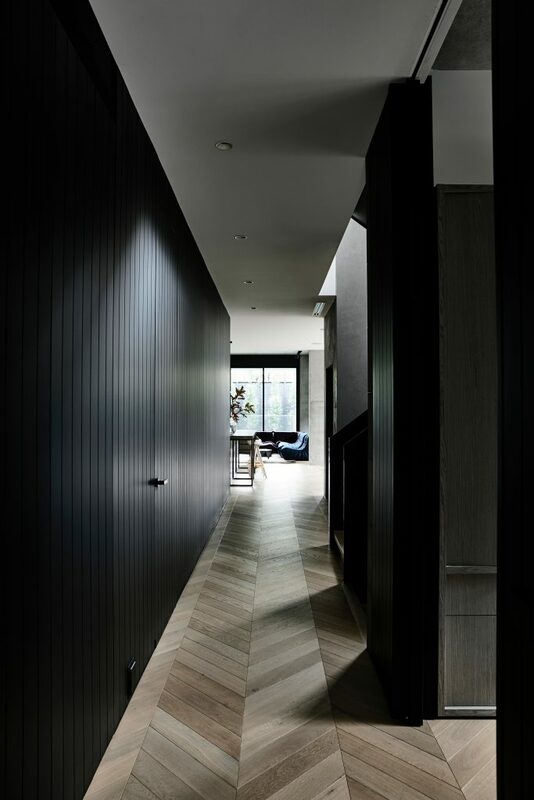 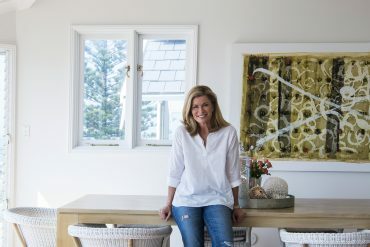 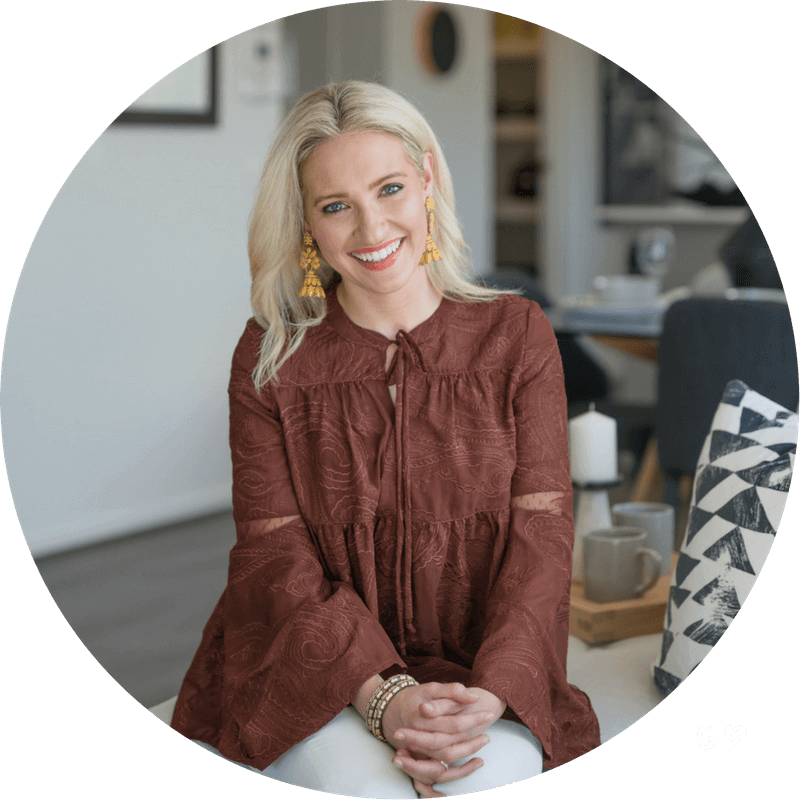 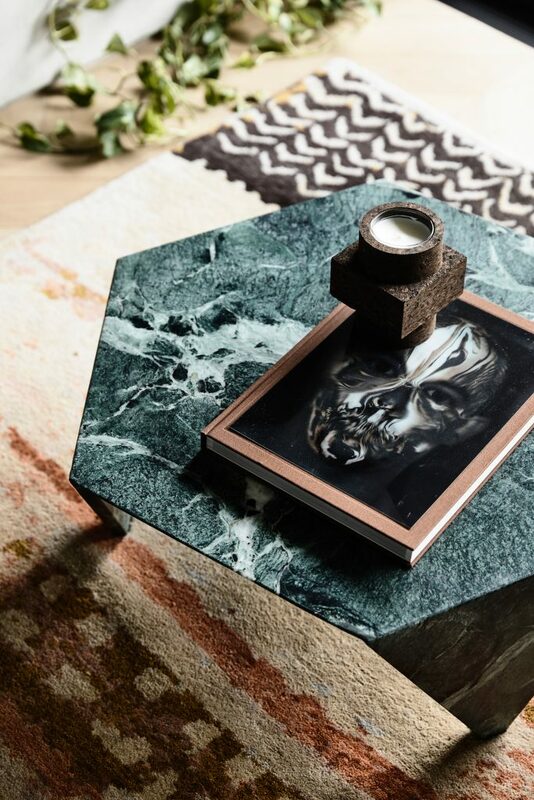 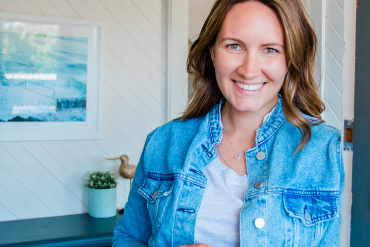 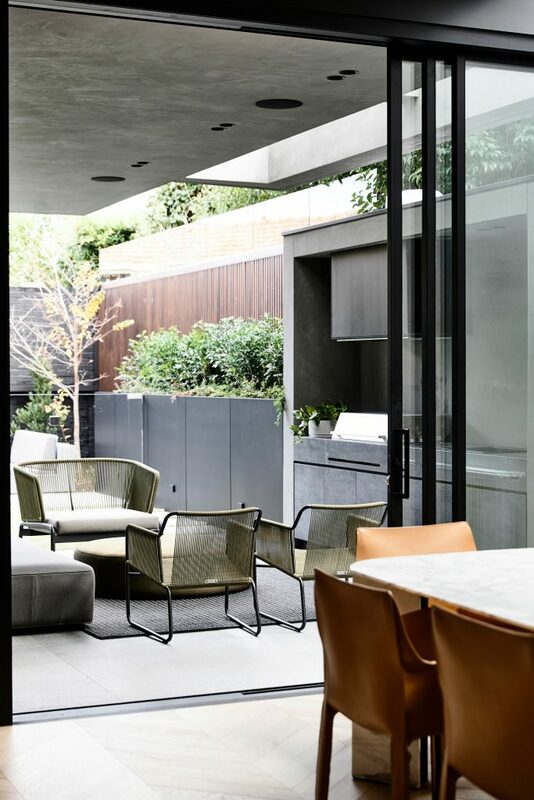 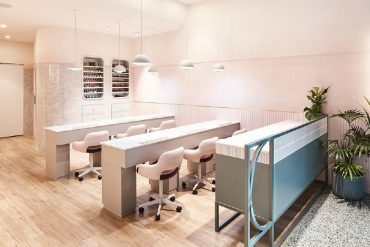 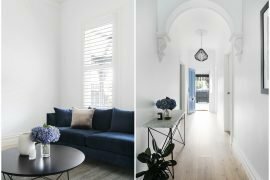 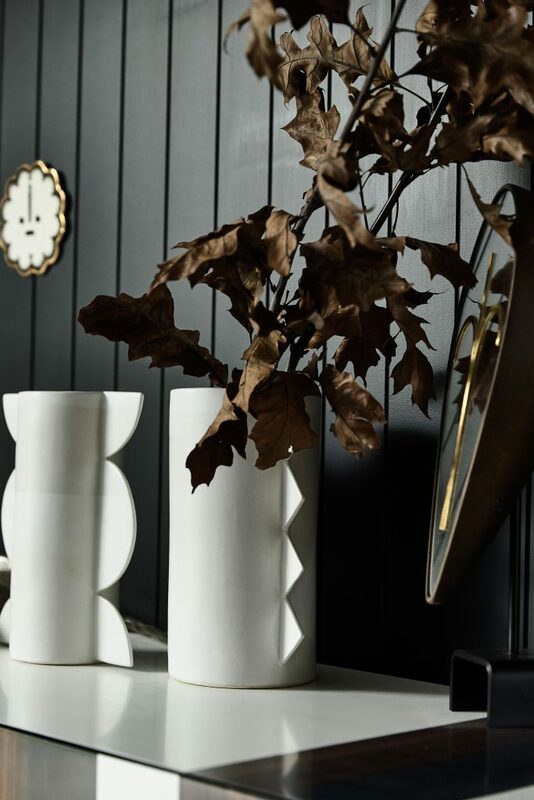 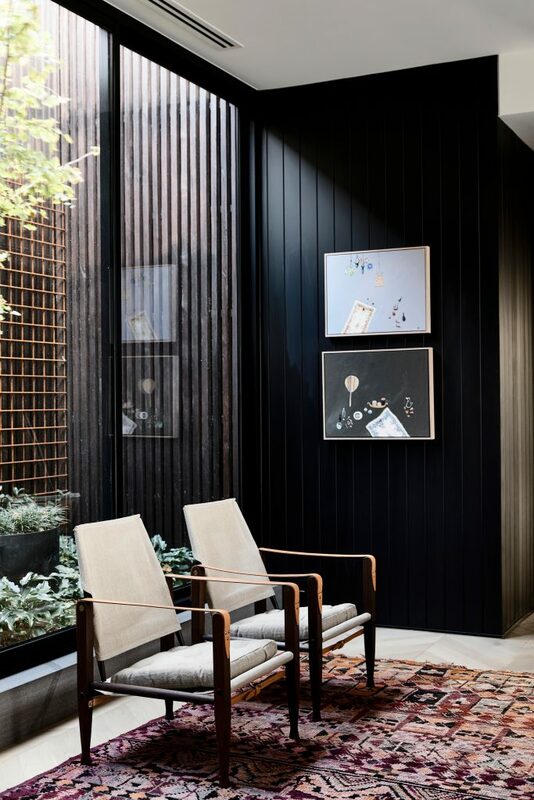 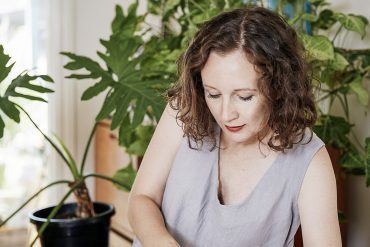 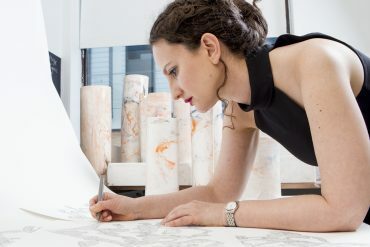 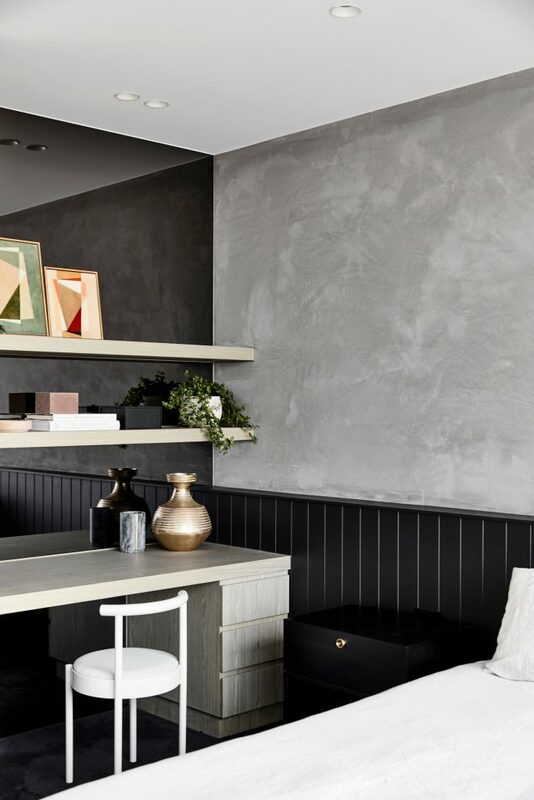 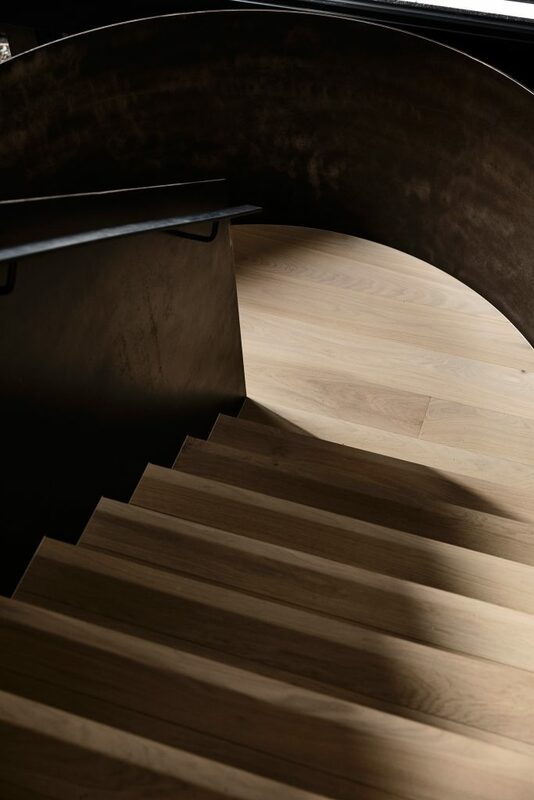 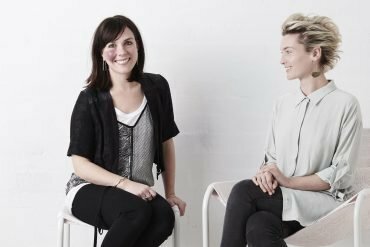 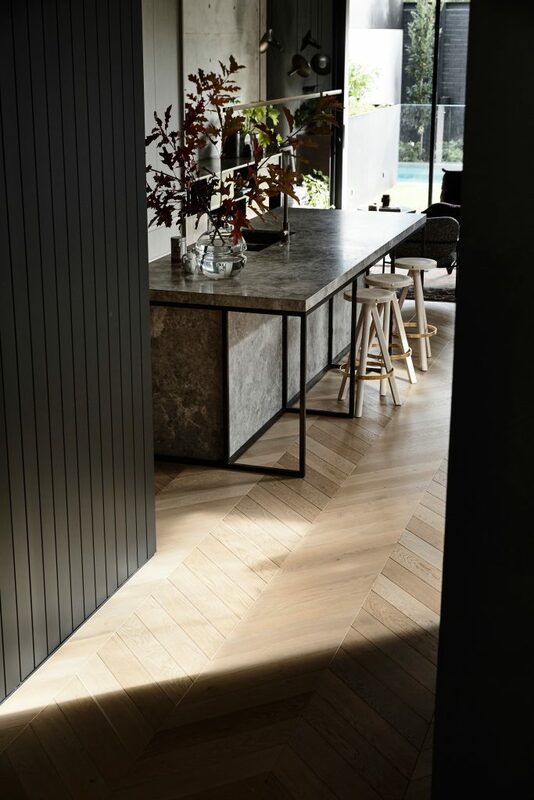 Rarely can a creative project be completed single handedly – and that was certainly the case for Huntingtower, which saw Melbourne-based architects and interior designers Workroom come together with AGUSHI. 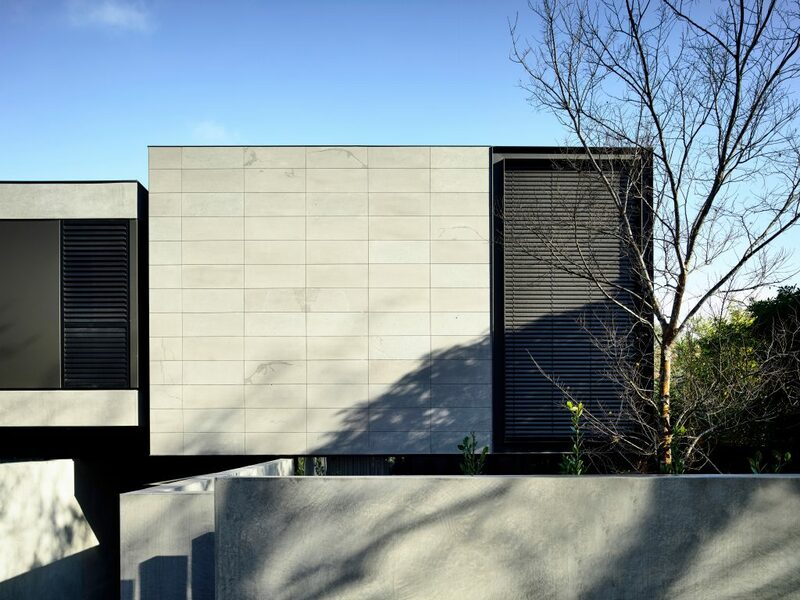 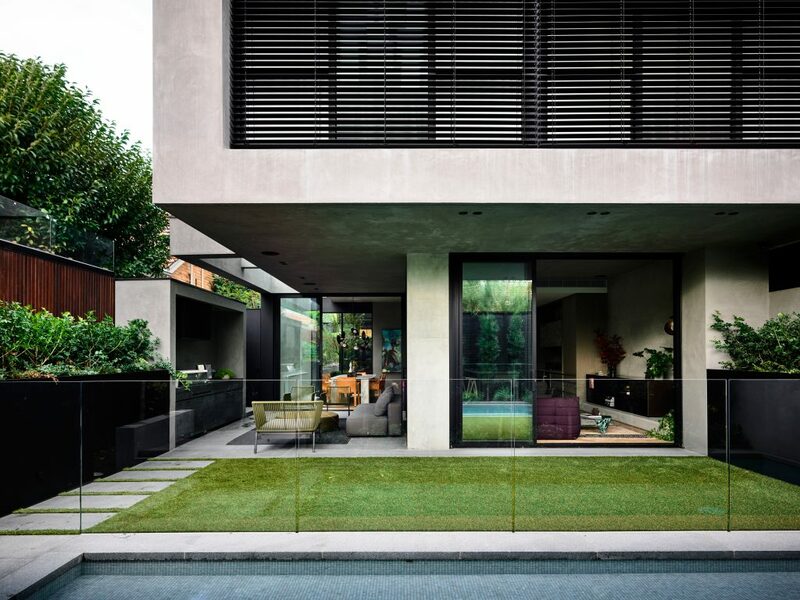 The house unfolds dramatically from the street, cantilevered over glass rooms and embedded in sunken gardens. 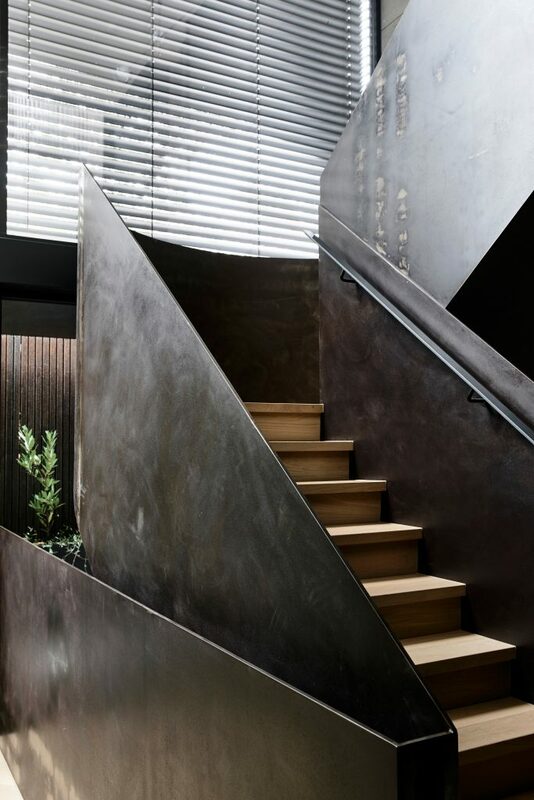 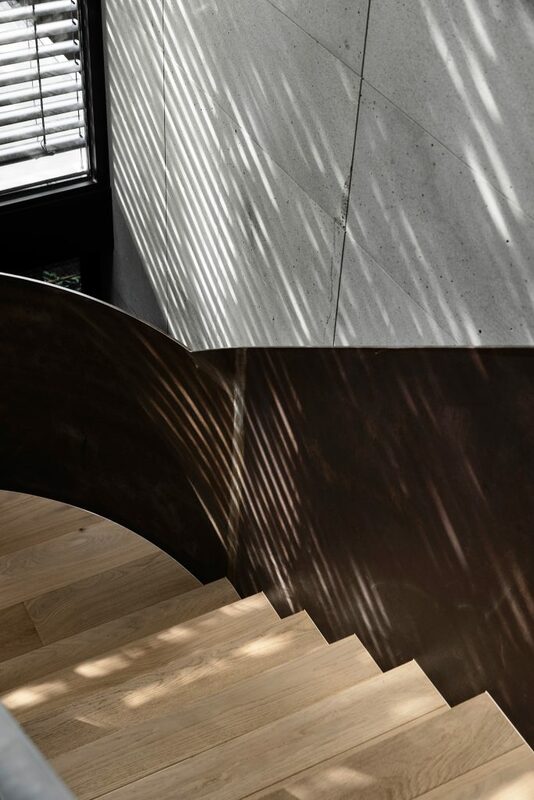 It’s an exotic experience to enter the home to find a folded plate steel staircase redolent of a sculpture. 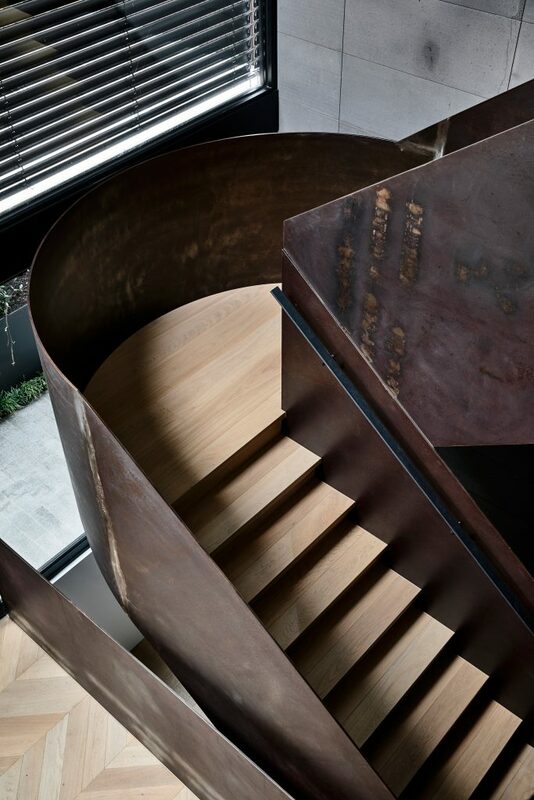 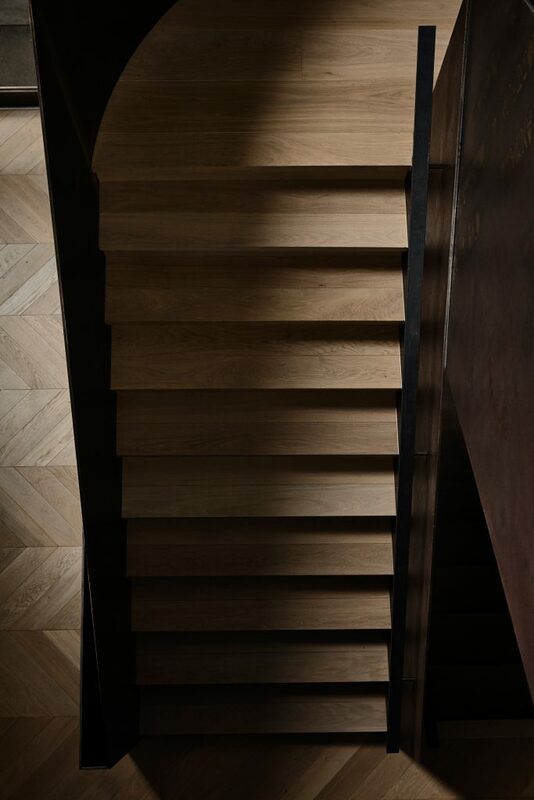 This staircase is the centrepoint and beating heart of the home, around which the rest unfolds. 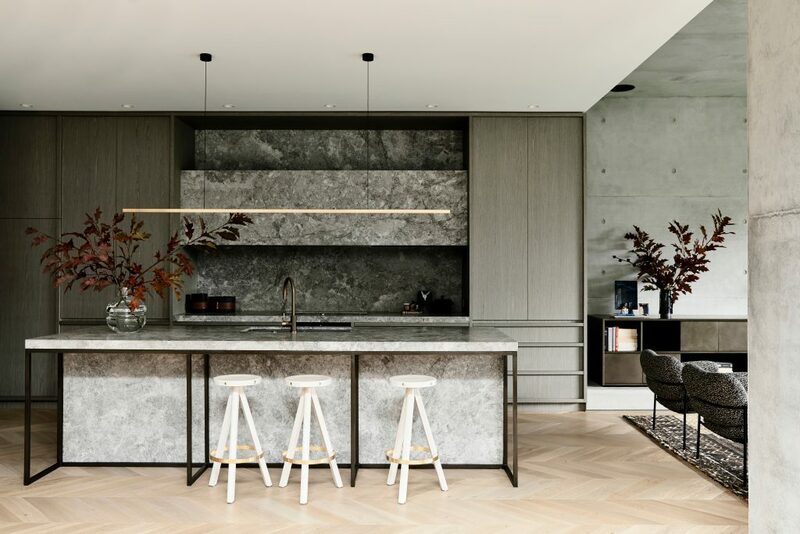 There’s a chef’s kitchen, fully appointed butler’s pantry, resort-style alfresco zone with pool and outdoor kitchen, and carefully curated gardens by renowned landscape architect Jack Merlo. 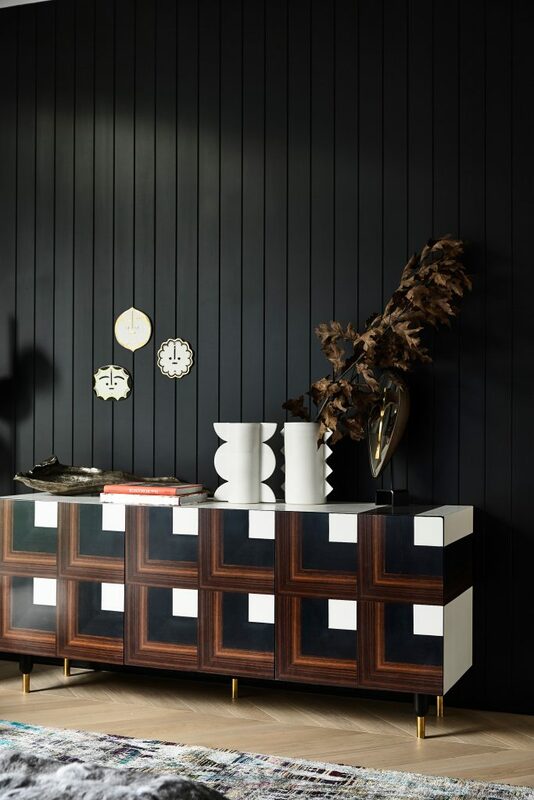 But the design wasn’t focussed on trends. 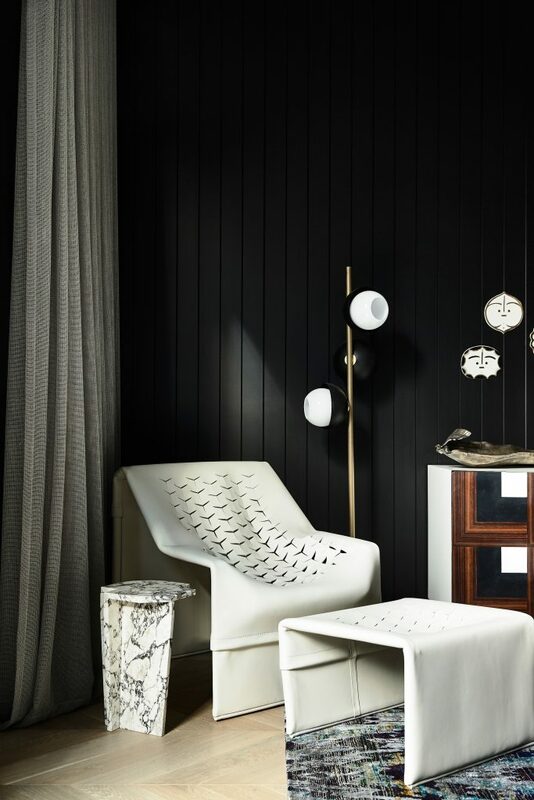 Rather, Workroom Director and architect John Bornas says it transcends fashion. 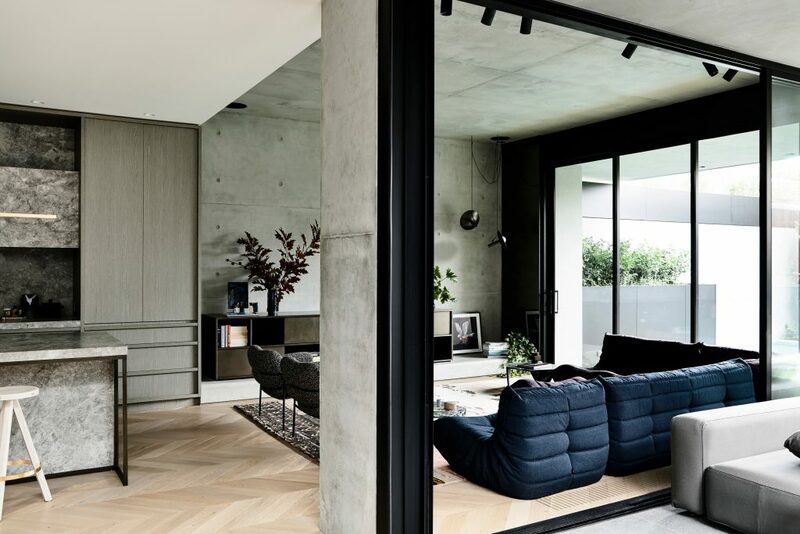 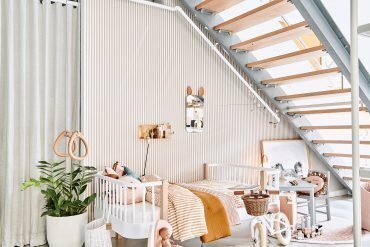 The connection between the building and the inhabitant is grounded through a rigorous exploration of scale, form, space and material. 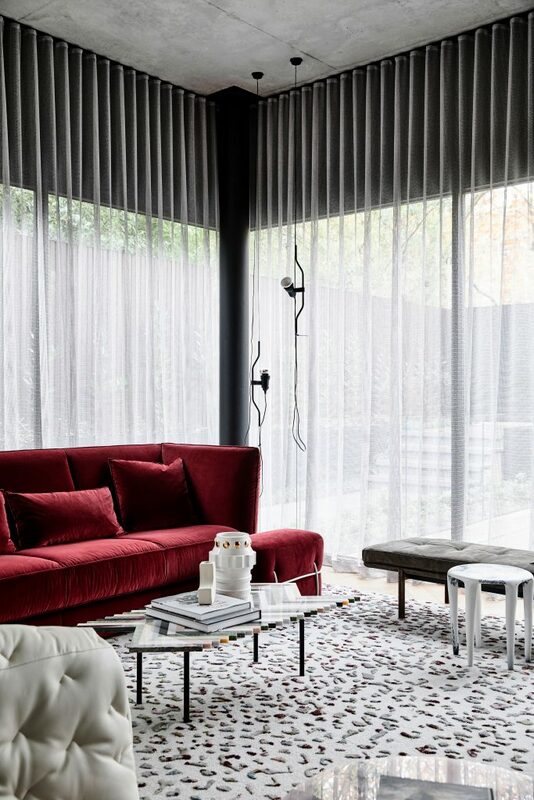 The delicate palette of materials and intricate detailing bestows elegance and luxury. 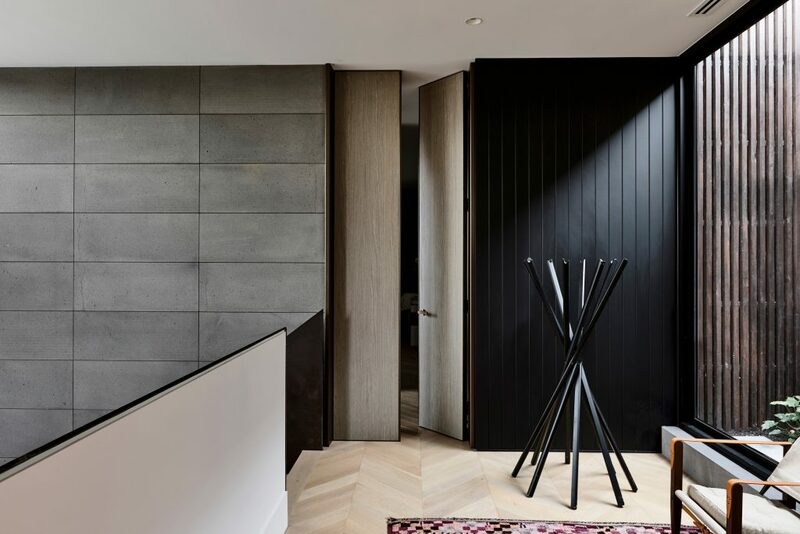 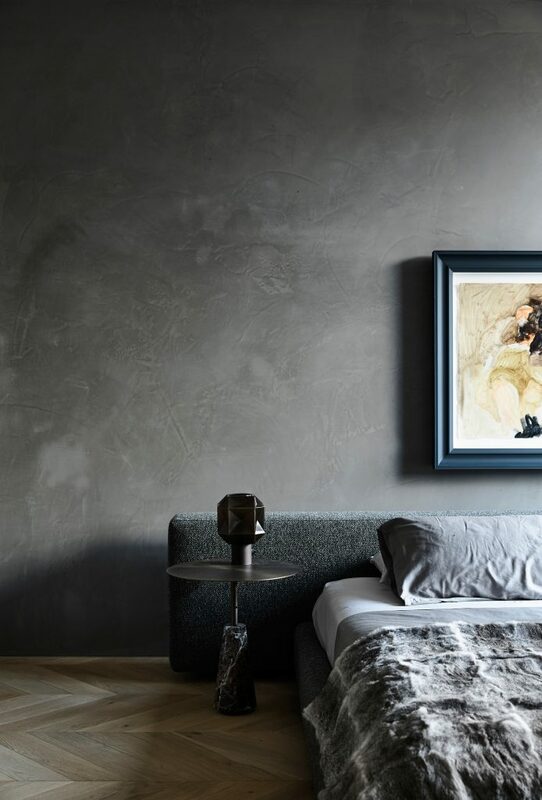 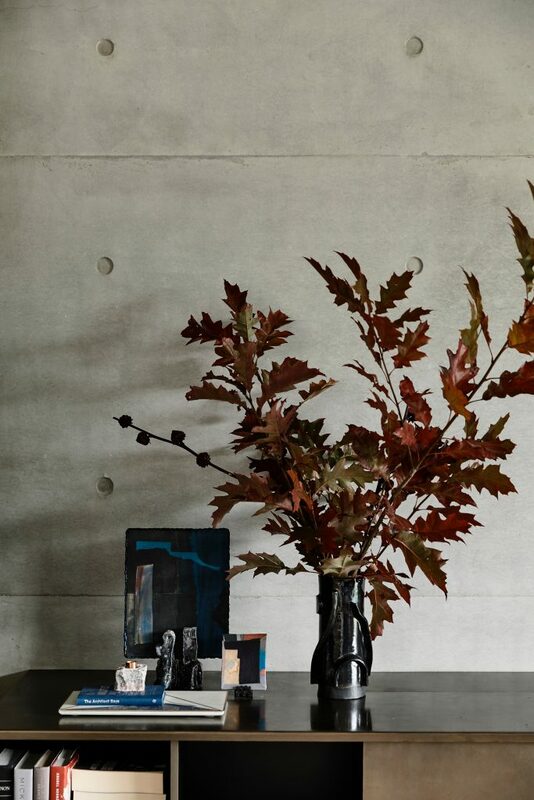 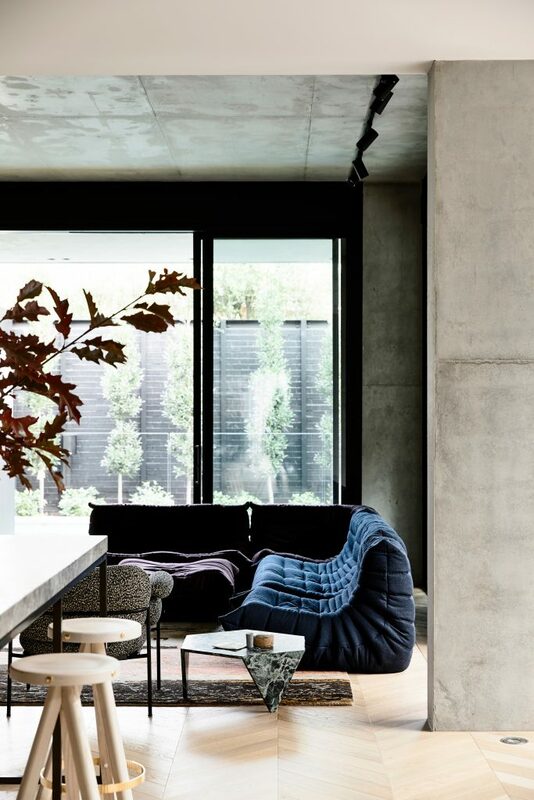 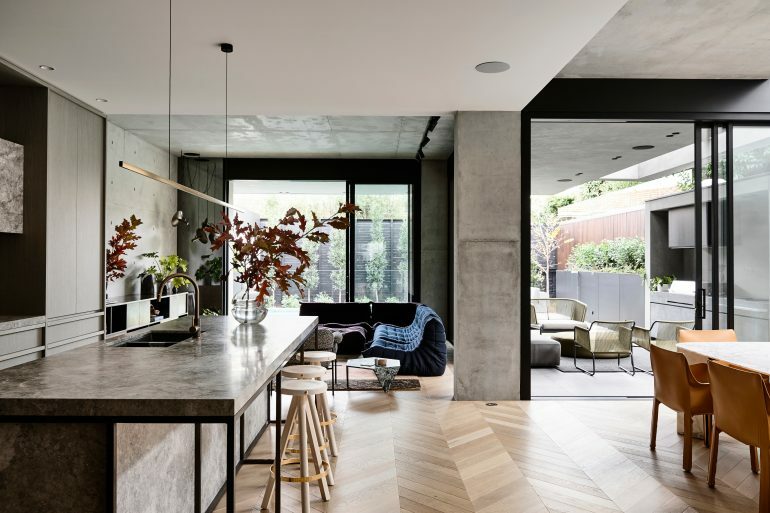 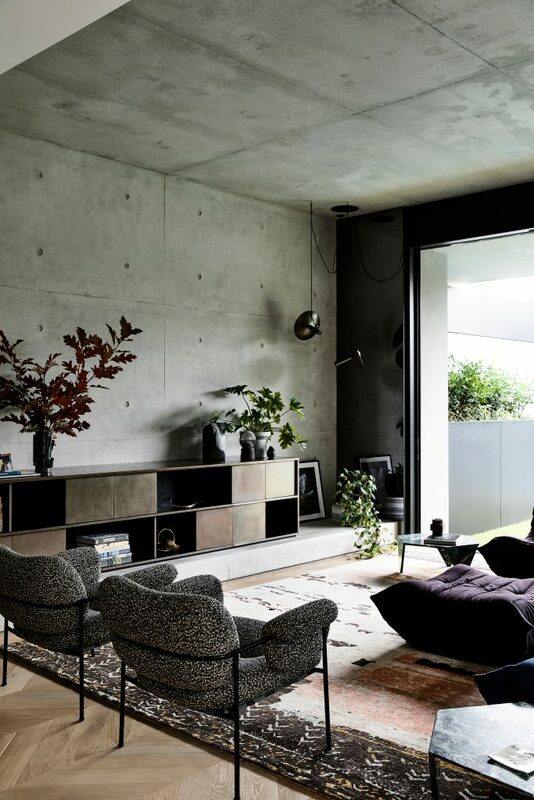 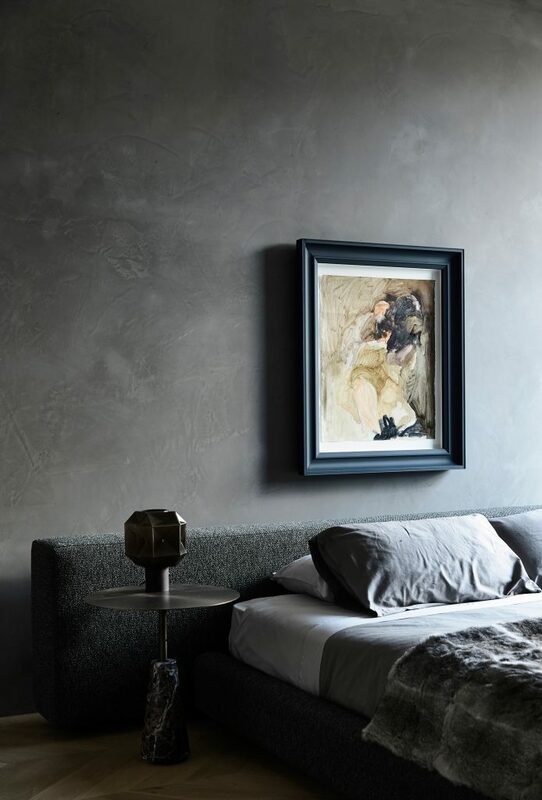 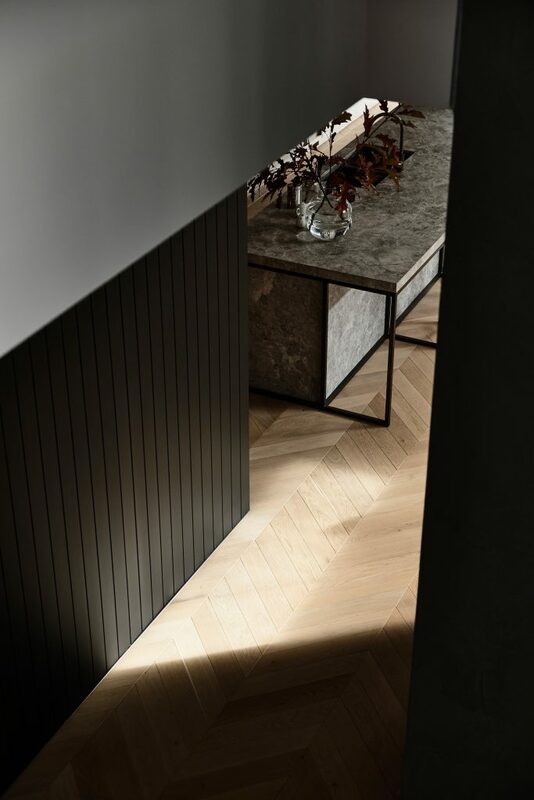 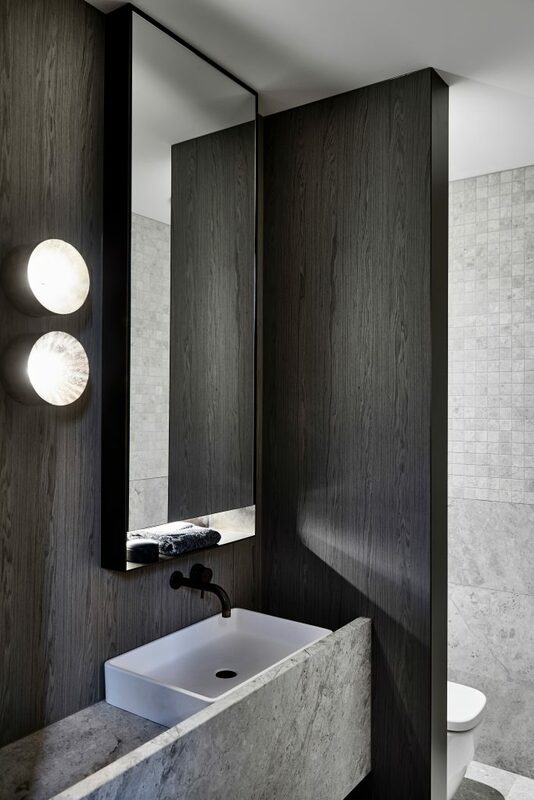 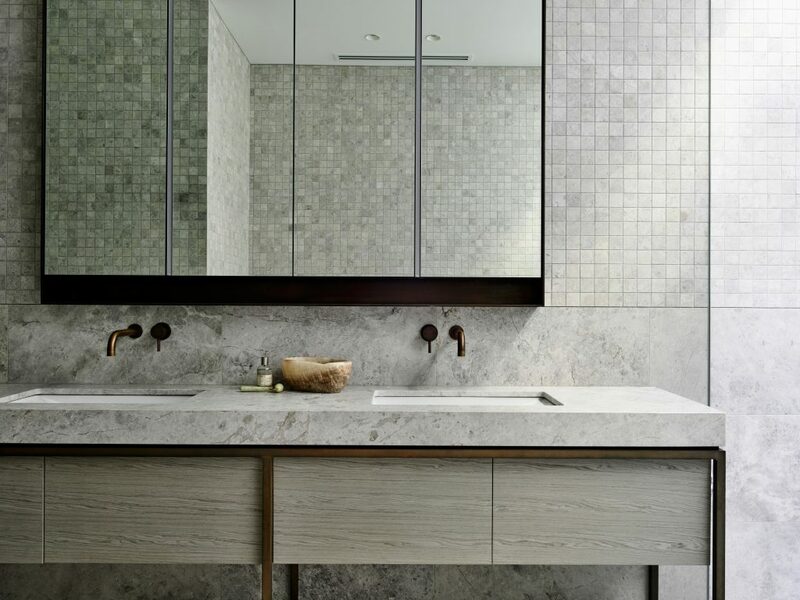 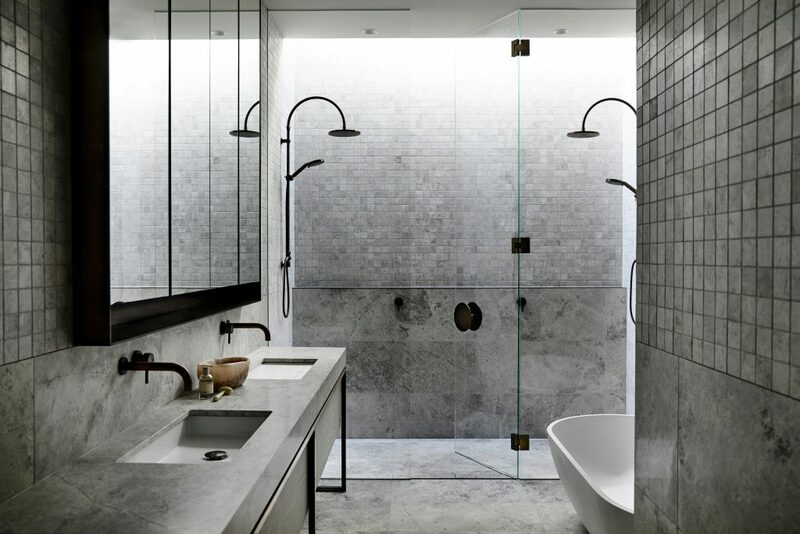 A narrative unfolds of stunning detail and tactile material, raw steel, dark panelled walls, concrete, bronze, timber and stone, elements that invite you to touch and feel. 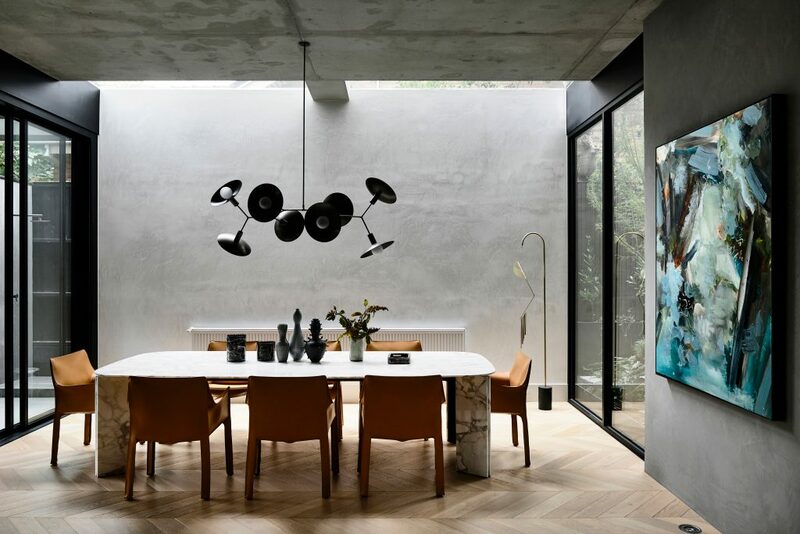 Photography by Derek Swalwell. 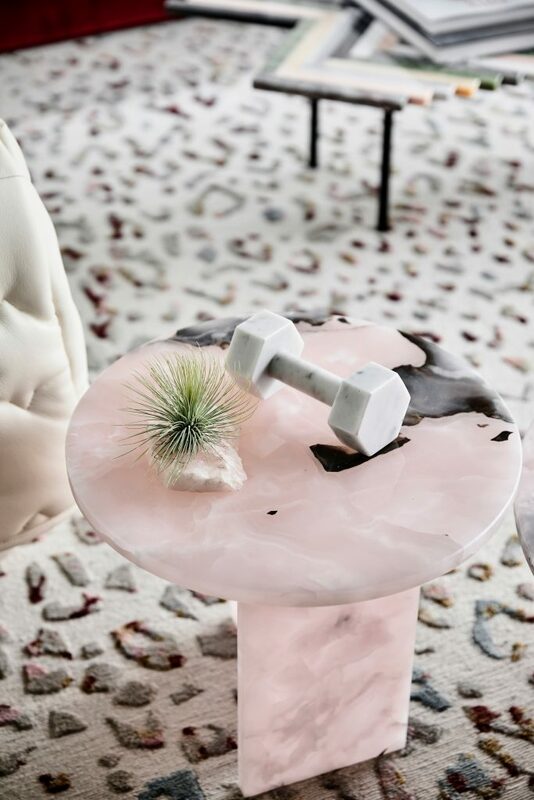 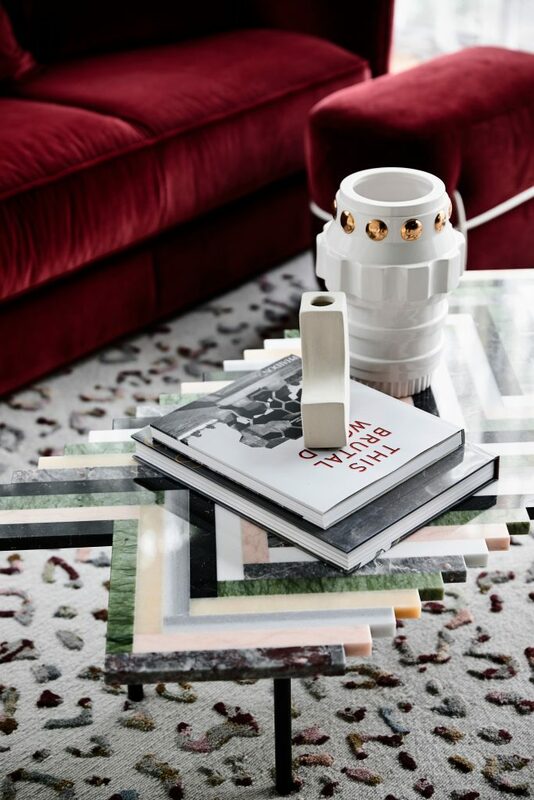 Styling by Simone Haag. 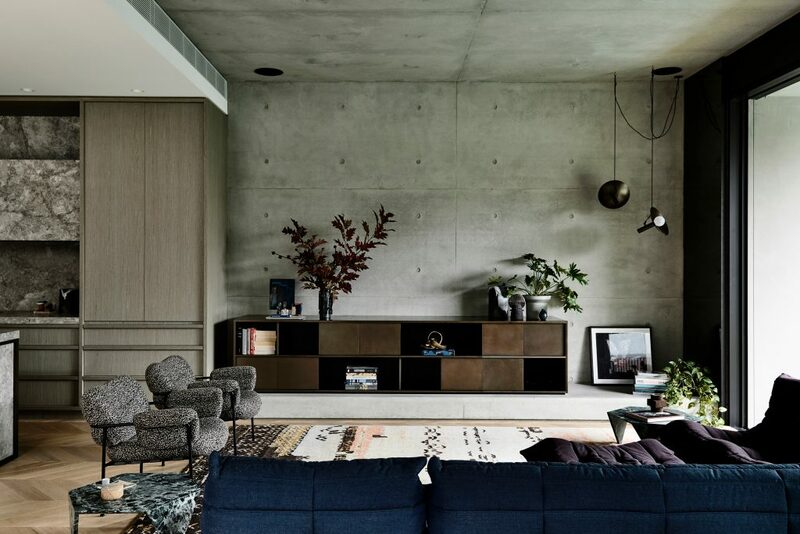 I really like to know how different culture can impact in Interior design, besides life style! 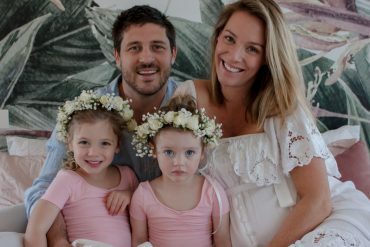 I am from Brazil and but I live in California! 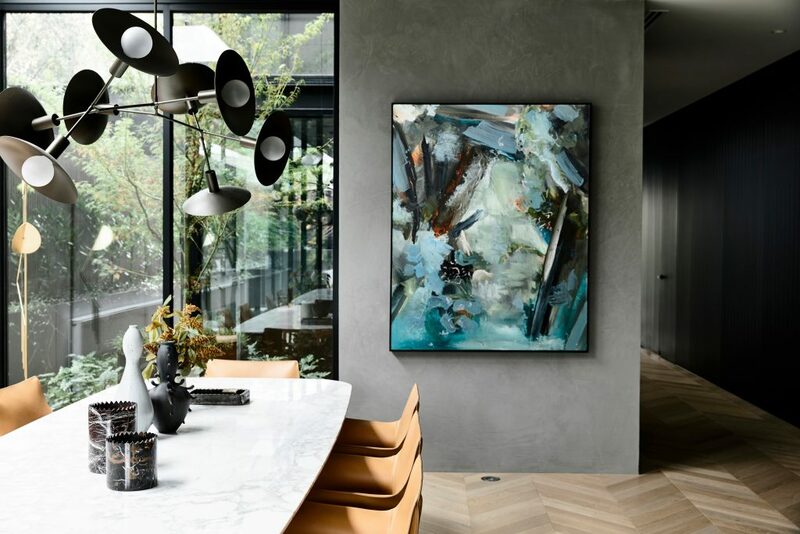 Beautiful house and wonderful interior design!